The candidate of the Social Democratic Party in last Saturday’s election in Osun State, Sen Iyiola Omisore, has said that he will only pledge his support for the candidate of the Peoples Democratic Party, Ademola Adeleke, in the Thursday’s rerun of the poll if the party satisfies his conditions. The election was declared inconclusive by the Independent National Electoral Commission on Sunday because according to the commission, the difference between the two leading parties, the PDP and the All Progressives Congress, was lower than the number of the votes cancelled. Omisore becomes a bride to the two parties because most of the polling units fall within his stronghold. His father, Oba David Omisore, is the ruler of the Garage Olode, a town in Ife -South, where elections in two units were cancelled. 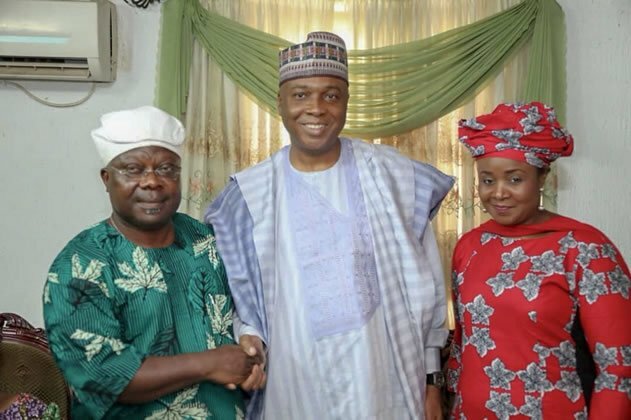 Speaking during the visit of the PDP presidential candidate, Sen Bukola Saraki, to his home in Ile-Ife on Monday, Omisore, who also dumped the PDP after a disagreement over the party’s primary for the election, said that as a stakeholder in the state, he was always after a people-centered government.